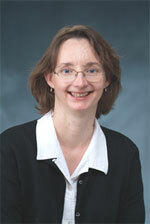 Anne K. Bomba, PhD, teaches courses in human development. Dr. Bomba completed her doctoral studies at Oklahoma State University in Stillwater, Oklahoma. Building upon a social sciences background and early childhood classroom teaching, her research focuses on environmental influences on child development. Recent research focuses on breastfeeding practices and what children are eating in child care settings.